This post is part of the Virtual Potluck! We are teaming up with Bob’s Red Mill and California Olive Ranch to bring you four weeks of healthy eating–A Healthy New Year. You can read more about the project here. We’ll start with an appetizer, then move on to a side dish, main dish, and finally dessert! Each week, we’ll pair a grain with an olive oil in a recipe. And these are some good grains and olive oils. The result will be 4 48 healthy recipes. Four recipes from 12 different bloggers. 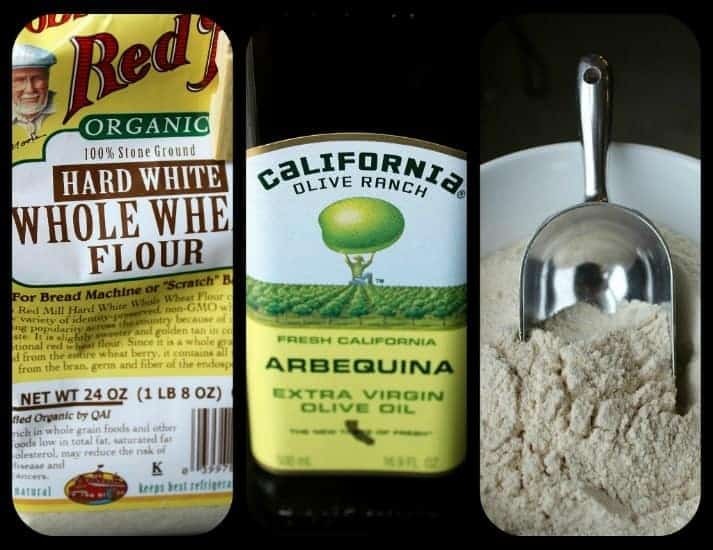 For this recipe, I teamed up Bob’s Red Mill’s Hard White Whole Wheat Flour with California Olive Ranch’s Arbequina Olive Oil. Bob’s Red Mill describes this flour as “bring[ing] complete nutritional goodness to breads and other baked goods.” They write that the “slightly sweet taste, light texture, and creamy color after baking make it easy to introduce this whole wheat flour into breads for people who traditionally have eaten only white bread.” California Olive Ranch describe this oil as “very fresh and fruity” with “flavors of tropical fruit and fresh artichoke.” Sounds great, right? These products do not disappoint. The flour worked great for this flatbread and the flavor of the olive oil still shined through. The olive oil also made the dip creamy, flavorful and delicious. 1. In a large bowl, measure out 2 cups of the flour. Pour the boiling water over the flour and stir until combined and semi-smooth. Cover the bowl and set aside for 30 minutes. 2. In a separate small bowl, whisk together the potato flakes, one cup of flour, salt, oil, and yeast. Add this mixture to the cooled flour/water, stir and then knead for several minutes. A soft dough should form a ball but will still be slightly sticky. You can add more flour if necessary, but by keeping my hands and work surface oiled (with olive oil), I avoided adding more flour. 3. Cover the bowl of dough and let rise for one hour. 4. Cut the dough into eight equal pieces, cover again and let rest for 30 minutes. 5. Heat a frying pan over medium heat. Roll each piece of dough into a 6- to 7-inch circle and fry without oil for about 1 minute on each side or until brown spots appear. Transfer cooked flatbreads to a plate or wire rack. Cut into wedges for this recipe or use whole for sandwiches or anything your heart desires! 1. Preheat oven to 400*F. Peel away outer coverings and chop off the top of the head of garlic. Place on a sheet of foil and drizzle about 1-2 tsp of olive oil over the garlic. Sprinkle with salt and pepper. Wrap up in the foil and roast for 30-40 minutes or until softened. Carefully open foil after roasting and let cool completely. 2. 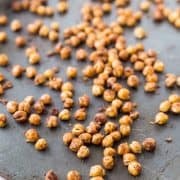 In a food processor, throw in rinsed beans, chopped thyme leaves, and squeeze out the roasted garlic. Puree until beans are starting to become smooth. 3. With the food processor running, pour in olive oil and process until smooth. Check seasonings and add salt and pepper as desired (pulse to combine). 4. Enjoy as a dip or use as spread on a sandwich. Verdict: Loved both the flatbread and the dip. Good for you and delicious too. Would make a great appetizer. Husband’s take: He loved the bread but the dip was a little too garlicky for him. Changes I would make: The bread was sturdy enough to hold the dip, but next time I’d love to try toasting the wedges for a little while to crisp them up and add some crunch. Disclosure: I was provided with free products to use, review, and create recipes with. No other compensation was provided. All opinions, as always, are 100% my own. The flatbread and dip look fabulous. I can’t wait to try the ARBEQUINA olive oil. I Follow @Not_RachaelRay on Twitter. The ARBEQUINA olive oil looks soo good! Good job using the Arbequina olive oil and wheat flour. I bet the potato flakes make the bread quite light, good idea. Dips are great and white beans are a great canvas for other flavors. Arbequina Olive Oil sounds great! 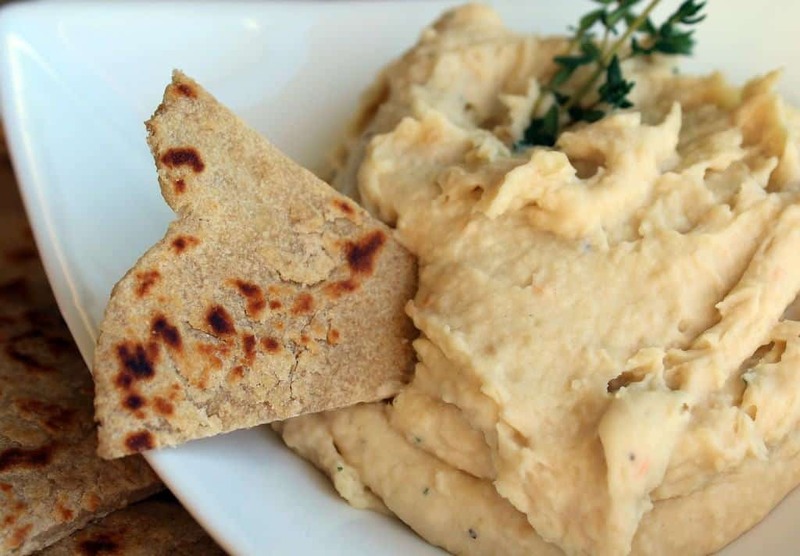 I would definitely make this white bean dip with arbequina olive oil. I “Like” Not Rachael Ray on FB. This dip sounds amazing, I will have to try it. 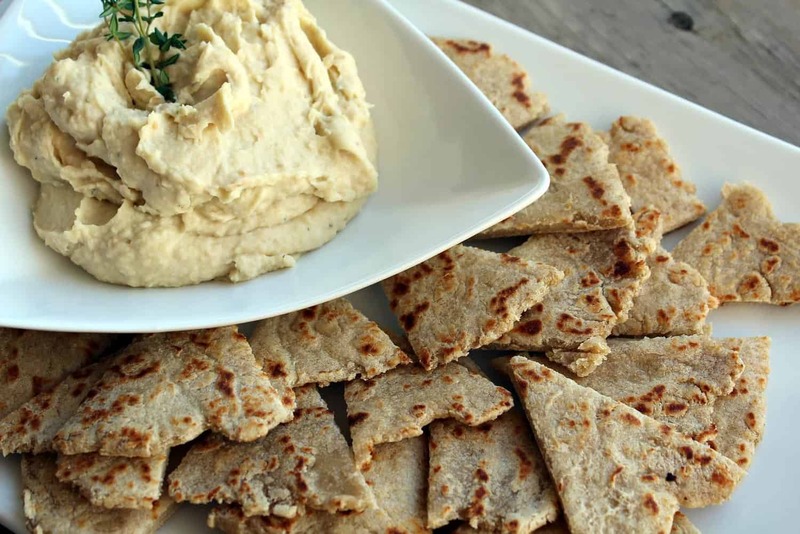 I know my husband would love it and your flat bread looks great! I “Like” Virtual Potluck on FB. Another great way to use the Arbequina olive oil. I would love to win the ARBEQUINA olive oil. The ARBEQUINA olive oil sounds great. I think this recipe looks fabulous! And I think it would be fun to grow an Arbequina tree. I wonder where ARBEQUINA comes from? Is it a place? A place of deliciousness? ARBEQUINA olive oil is the best! Thanks! I subscribe via RSS (Google reader). Thanks for the giveaway! Love this giveaway for ARBEQUINA olive oil! Happy New Year! This dip looks fantastic and this ARBEQUINA exta virgin olive oil looks delicious! Oh my gosh this looks so healhty and delish. I wish I had a bowl of it right here in front of me! I’m on a major hummus kick – I love love love this. The dip and bread sound delicious. I love the fact that you used the arbequina olive oil not only in the garlic dip but also in baking the bread. Does the arbequina olive oil give this a distinctive flavor? Yummy dip, and I freaking LOVE flatbread!!!!! The flatbread looks amazing! Love the potatoes in there! Oh, wow! This looks completely amazing! I love homemade flatbread! YUM! Mmmm looks delicious with that yummy ARBEQUINA olive oil. I usually use Meijer brand so I would like to try something new. I tried the Bob’s Red Mill vegetable soup that I received from your mom at Christmas- yummy! I ♥ Arbequina Olive Oil! I just had it for the first time with pulled mozzarella in a fabulous caprese salad. YUM! How funny, I was just thinking today about how much I wanted some garlic and white bean dip and here it is in front of me! Looks so awesome. Happy New Year, Rachel! Would you spoon-feed me this dip? Sounds delicious, Rachel. And your photos are beautiful as usual! 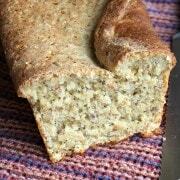 This Arbequina olive oil and hard white whole wheat flour would be awesome to cook and bake with! And I am a fan of Virtual Potluck on FB. I love all the uses for ARBEQUINA Olive oil, so inspiring! I love white bean dip! It’s such a healthy way to snack. Great way to pair the two! This dip looks insanely delicious–most likely because it has an entire head of garlic in it. But I’d love to see the flavor the Arbequina brings out! The dip looks great and fun giveaway! Happy 2012, Rachael! 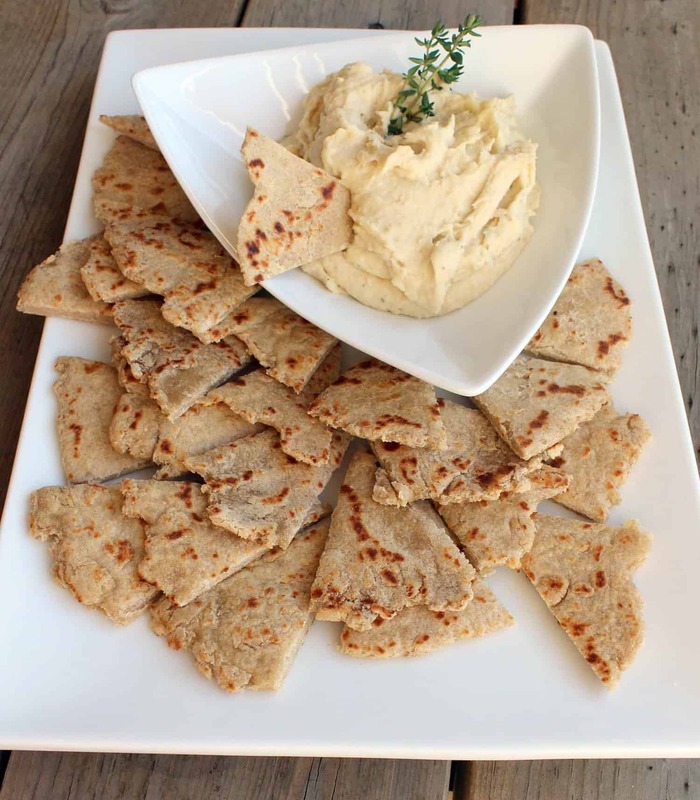 Just got a bottle of ARBEQUINA, and as soon as I pick up some Hard White Whole Wheat Flour from Bob’s Red Mill I’ll be diving into this flatbread recipe. 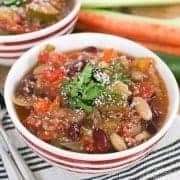 Love bean dips and this one looks amazing.